Lisa Smith-Batchen joins a prestigious group of runners, coaches and extreme athletes for this incredibly special award. The Badwater Hall of Fame was created to honor those who have made historic, critical contributions to the development, history, and success of this event. Lisa has completed Badwater an amazing 9 times including winning twice. 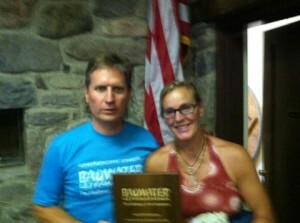 She has even run a Badwater double! Lisa now coaches athletes to successful finishes at Badwater and other races around the world.